It was not a banner year for Cuthbert, as he both struggled statistically (.618 OPS in 475 AB) and continued to receive questions about his effort level. But he’ll still play next season at 20 and it was Wilmington (a strong pitcher’s park). The talent is still there for Cuthbert to develop into an offensive third-baseman with power. Still huge offensive tools, still eons away. The positives from his stateside debut this year start with the fact that he made strong contact, leading the Arizona League in hits with 68. He’s also still showing impressive raw power, which won’t show up in games until he starts to develop the strength for it. The best thing about Kepler is his back story. He grew up in Germany as the son of two ballet dancers (one American and one Polish) and received the largest bonus ever for a position player signed out of Europe. Needless to say, he has athleticism in his bloodlines. Repeating the Appy League as a 19-year old, Kepler finally started turning tools into performance with a .297/.387/.539 line with 10 HR and 7 SB. After completely falling off the map, Matzek at least got his stuff back in order during 2012 with 153 K and only 7 HR allowed in 142 1/3 IP – while getting his velocity back into the 90’s. Next step: his control, which is still pretty terrible (95 BB). Every outcome is still in play for the 22-year enigma. If Swanner had better than about a 10% chance of staying at catcher, he’d be a top-100 guy. As is, he’s an interesting bat, but with a poor defensive profile and a high likelihood of being a tweener (not good enough defensively to stay behind the plate, and not good enough offensively to profile at 1B). Still, even the small chance of it is worth a lot at this point. The Indians may have gotten themselves a cold-weather steal in Brown, who hails from the baseball hotbed known at Rochester, Minnesota. Taken 79th overall in the 2012 draft, Brown will show four pitches – a low 90’s FB, two potential plus pitches in a cutter and curveball and a change-up which could be average. His ceiling may top out as a #3, but he has a higher floor than almost any prep pitcher in the 2012 draft. Why is a player who has hit 49 HR over the past two seasons, and stole 21 bases in 2012, so far down on this list? Because he can’t hit very well, as his .240 career minor league average can attest to. If that changes, he could be a fantasy stud – and the first key to that is making more contact (448 K in 1352 career AB). For a pure relief prospect to crack this list, you know his stuff has to be nasty – and Montgomery’s slider may have been the nastiest pitch on display in the AFL. I expect to see him in the Yankee bullpen this year and I expect him to be impressive right off the bat. A total gamer, Pederson makes the most of his non-elite tools. But he’ll need to show it in non-elite offensive environments to move further up this list, and Double-A will be a good test for him. The biggest thing Pederson has going for him is his hit tool, which allows the rest of his game to play up. Lee had a down year in 2012, only hitting .261 in the Southern League, but his skill-set is still that of a solid average hitter with high steal totals. In his last three seasons, he’s stolen 32, 33 and 37 bases. What he needs to prove at the upper levels, and in the majors, is that this isn’t another Dee Gordon – in that, he has the strength to hit premium velocity. Cron is a pretty terrible athlete for a baseball player and his plate discipline leaves a ton to be desired (17 BB in 540+ PA in High-A), but he makes enough hard contact to be a less athletic Mark Trumbo type. So, while he may never be a particularly valuable major leaguer due to his lack of defensive value and walks, he should be more highly regarded in the fantasy world. Yes, the 5th overall pick in the 2004 draft is still eligible. As a baseball fan, I hope for his sake that he can stay healthy. At this point, Rogers may be on his last shot at convincing the Brewers (or any other team) that he can stick in a rotation and provide quality innings – otherwise, a move to the bullpen is likely in his near future. A potential future all-star, Hedges is low on this list because it’s his defense that carries his real-life value. A .785 OPS in the Midwest League was a good start, but he’s not expected to be much of a fantasy contributor with the bat. He’ll likely top out as a .260, 12-15 HR type of guy. A power-hitting prospect in the Colorado system? I’m paying attention. The former Clemson quarterback continued to take steps forward in 2012 by not only hitting .308/.415/.562 with 23 HR, but also reducing his strikeout rate by more than 25%. Double-A will be a big step for him, as while this was impressive, it was also in the Cal League. Villar reminds me somewhat of Anthony Gose, in that if he could just have an average hit tool, he could be a fantasy stud – though he doesn’t quite have the volume of tools that Gose does. He’s also been a successful base stealer considering the overall rawness of his game (78.2% career). It looked like Flores was going to stall out in the minors after a 2011 season which was his third complete season in A ball. But after hitting .311/.361/.494 in 251 Double-A at bats in 2012, he’s back on the map. Most impressively, Flores only struck out 30 times in those 251 AB (and he’s still only 21). On the bright side, Heathcott impressed in the Florida State League offensively, hitting .307/.378/.470, and then followed that up with a 1.106 OPS in the Arizona Fall League. Unfortunately, he’s still only accumulated 755 AB since being the Yankees’ 2009 first round pick (#29 overall) – and part of that is from a completely all-out approach to playing the game. The youngest pitcher in the Northwest League, Sanchez won’t turn 18 until the end of this month. This made his 3.18 ERA, 1.13 WHIP and 69 K in 85 IP even more impressive. Sanchez’s success at this level comes more from a very advanced approach than crazy stuff, but he still projects as a #2/3 starter if everything comes together. 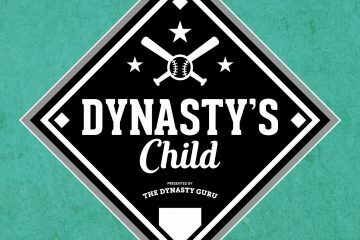 A potential 2013 breakout prospect, I contributed a sonnet about him as part of a Cubs system summary by Craig Goldstein over at Fake Teams. His bat brings out my inner Shakespeare. After hitting .281/.345/.396 in the Northwest League as an 18-year old (versus mostly college-aged players), he’ll look to shine in full-season ball. The 14th overall pick by the Reds in 2012, Travieso is a big, raw arm who may take some time to develop, as he’s had less experience than most HS arms (he wasn’t even a starter until his senior year). The Reds will be thrilled if he follows in the footsteps of fellow former first-rounder Robert Stephenson. Is Snell next in the seemingly never-ending line of Tampa Bay pitching prospects? One of the million (slight exaggeration) supplemental picks the Rays had in 2011, Snell had a 2.09 ERA, 1.08 WHIP and 53 K in 47 1/3 IP in the Appy League this year. Snell’s heavy low-90’s fastball also can generate a lot of ground outs. The potential at the plate is there for Coulter to be a very solid fantasy backstop (think .260 with 20-25 HR in his prime), but unlike Hedges, he’s not a lock to be good enough defensively to stay there. If not, it’s tough to see him developing into a star offensively at another position. The Padres seem to have a never ending supply of pitching prospects, and Wisler was one of the breakout guys this year, putting up a 2.53 ERA, 1.08 WHIP and 113 K in 114 IP in his first taste of full-season ball. But the most promising number for Wisler was 1 – as in only 1 HR allowed all year. With Ozuna, it’s about power, power and more power. After all, 24 HR in the Florida State League (with its depressed offensive environment) is extremely impressive. Double-A will be a big test for him, as with many big raw power and questionable hit tool prospects, he can be exploited with sequence and off-speed stuff. So tempting, yet still so unrefined. Jenkins remains as much of a lottery ticket as anyone on this list, despite the fact that he’s already 20. There are plenty of reasons to list Jenkins in the top-100 on potential alone, but between the work he needs to do on his off-speed pitches and the injury issues he’s had, this is a more reasonable spot. With that said, Jenkins has as much upside as any pitcher in the Cards system. Campos would be in the top-100, if he had come back healthy at some point this season and looked even close to as impressive as he did in April. Unfortunately, he’s nowhere to be found yet – so this ranking is a bit of a hedge. When healthy, he throws a mid-90’s fastball with impressive command, a hard curve which flashes plus and a change-up which flashes at least average. Martin is unlikely to be a star, but he could be step in for Texas in CF next season. With no real plus tools, but no weaknesses, he should be a lower-level contributor across the board, similar to teammate David Murphy. His .359/.422/.610 line with 12 HR and 10 SB says that he deserves a chance in 2013 if the Rangers don’t move Kinsler to the OF. While Brentz showed a little less power in Double-A than he had at previous stops, he continued to produce despite gaudy strikeout totals. I still believe in him as a potential .270, 25 HR bat – and Fenway is a perfect fit for him, with his often pull-happy approach. A 2014 RF job in Boston should be Brentz’s to claim. Yes, Gallo broke some power records in the AZL this season. But for context, here are the AZL HR leaders over the last five seasons: Jose Cuevas, Jesus Aguilar, Cody Decker, John Contreras and Andy D’Alessio. He is exciting, but temper those expectations. The power could be elite, but there are so many question marks right now including his contact issues and whether he can stay at 3B long-term. Stroman’s stuff is so advanced that even though he’ll begin the 2013 finishing out his 50-game suspension for amphetamines, he may still reach the majors before the season ends – though it will likely be as a reliever. But don’t rule him out as a starter long-term despite his short-stature (he’s 5’8”). I’ve been looking forward to this one. Thanks, Bret. Surprised and happy to see Nick Travieso on your list. He hasn’t gotten much attention despite being a 1st round pick, but he has a big arm. I like that Ronald Guzman is up there. What are you thoughts about Nomar Mazara? I know that Mazara get hype for having elite power but Guzman seems to have a better all-around bat tool. Although I read that Guzman may not develop enough pop for 1b. I know they are still young and you really can’t accurately project 17 year D.R. prospects after just one year but I have to ask. I’m not a Rangers fan just someone who is intrigued with the developed for international prospects. Thanks for the list as well, keep up the good work. Thanks for the kind words. I like Mazara – in fact, I think they’re pretty similarly valued prospects right now. You hit in on the head in your comment – Mazara has the power right now and Guzman has the hit tool. Guzman needs to add strength and leverage to his swing and Mazara needs to be able to make more contact, but they have a long time to do so (as they’re still so young). I personally like Guzman better all-around, as I do think the power will come in time, but it’s very close. Thanks that seems to be the thoughts about both of them. Seems like Mazara is a higher ceiling and Guzman has a lower floor. I love a story I read about Mazara hitting a ball out to dead CF with a 30 MPH wind in his face. Either way it seems like the Rangers have two solid guys. I also hear that Guzman would move faster based on the better all round bat tool. I just found your site and I love what I read so far.